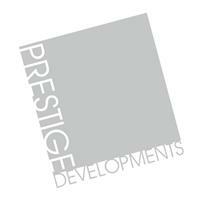 Prestige Developments - Bathrooms, Bedrooms, Carpenter, Kitchens based in Bexhill-on-Sea, East Sussex. Thank you for taking the time to view our checkatrade page. Here at Prestige Developments we offer a friendly and reliable service. Over the 10 years, we have gained a high level of experience and ensure all work is carried out to the highest standard ending in a prestige finish. We take pride in all the work we undertake and consider ourselves as a tidy workman. We always leave the site clean throughout the job as well as a thorough clean up at the end of the work. Customer satisfaction is important to us and we will work with you to ensure the end result is your vision. Please feel free to contact me today to get a free quotation.